Giving Tuesday is November 27, and now is the perfect time to think up some fun and creative ways to make it work for your nonprofit. When it comes to fundraising, thinking outside the box can pay off big-time. For an example, look no further than Cookies for Cancer. When founder Gretchen Witt’s son Liam was diagnosed with cancer at age two, she decided to bake 96,000 cookies with the goal of raising $100,000 for pediatric cancer research. She ended up raising more than $400,000, and that was the beginning of Cookies for Kids’ Cancer. The organization is top-rated on GreatNonprofits and has provided almost $15 million to seven of the nation’s top research hospitals. Gretchen Witt scaled the traditional idea of a bake sale into a brilliant game-changer for pediatric cancer research. Which idea will you run away with to make a difference for your cause? Check out the 25 ideas below and see what works for your team. Request and collect supplies that make sense for your organization. Make sure you set a goal and show your progress so donors can feel like they are making a difference. Make it fun by turning your drop off location into a unique experience for your donors. You can offer refreshments and entertainment, and live stream it on your social media channels. Think of a theme and unique hashtag to make your supply drive catchy. Home of the Sparrow, an organization that provides housing and support to homeless and low-income women, ran a #WinterWhiteOut campaign to collect paper products not covered by government assistance. Matching challenges can be super effective for two reasons: First, the deadline creates a sense of urgency, so people who may normally think, “I’ll do it later” will be more likely to take action now. Second, a matching challenge offers a clear incentive to give: donors know they can double their impact during a matching challenge. That’s a big deal, even when we’re talking about small donations. Check out how Cancer Support Community Valley/Ventura/Santa Barbara promoted a successful matching campaign on social media. Does your organization simply need more manpower? To tackle that common nonprofit issue of having too many tasks and not enough staff members to do them, plug into the Giving Tuesday momentum to beef up your volunteer team. You could hold an in-person Volunteer Information Session or keep it virtual with an email and social media campaign. Keep in mind how much of a draw free food and drinks can be! Think local! Find a business in your community that wants to participate in Giving Tuesday and partner up with them to raise funds. Depending on the type of business, this could look like a charity night where some of the proceeds go to your organization. Or a retail shop could sell a specific item related to your organization, donating all profits from that item to your cause. A salon could donate a day of pampering for the organization’s participants. When you start getting creative, the partnership possibilities are endless. You can get some big results by digging deep into a single story. Stories “stick” better in our hearts and minds than facts and figures. Tell a detailed, thorough story about one or two beneficiaries, including how their lives changed as a result of your organization’s services. When you show through storytelling rather than telling through statistics, people are more likely to connect with your mission. Giving Tuesday is a chance to invite the community into your organization and give them a firsthand look at your work. Once they see the important things your team is doing, how can they not want to become a supporter? Give tired, stressed out adults a fun night out! Recruit some local comedians to participate in Giving Tuesday by performing for charity. Charge a small entrance fee, and sell snacks and drinks. A nice, easy fundraiser for your team, a night of laughter for your donors. That’s a win-win. Borrow a projector and screen, pop a bunch of popcorn, and be sure to include a “preview” which is actually a short video about your nonprofit’s mission! If you want to make it a bigger affair, use a service like Filmraiser.com that takes care of the whole event. Think of any way possible to engage the audience – ask them to dress up as their favorite character and gives prizes for the best costumes. You can also make it seasonal – Giving Tuesday is the perfect time to screen holiday favorites like Home Alone or It’s a Wonderful Life. Live and silent auctions are a mainstay for charity fundraisers, for good reason: They’re fun, exciting, and relatively easy to pull off. So why not take it up a notch and make it as fun, goofy, or attention-getting as possible? Education-related nonprofits can auction off a chance for a child to be principal for a day. Let people bid on the chance to get in a water balloon fight with your staff. Find a professional organizer in your town who will donate a day of his or her services to someone desperate for a garage purge. When you scour your network you’ll be amazed at the out-of-the-box auction items you can come up with. If you cook it, they will come. Entice donors with the culinary traditions of the cultures represented by your staff, membership or beneficiaries! 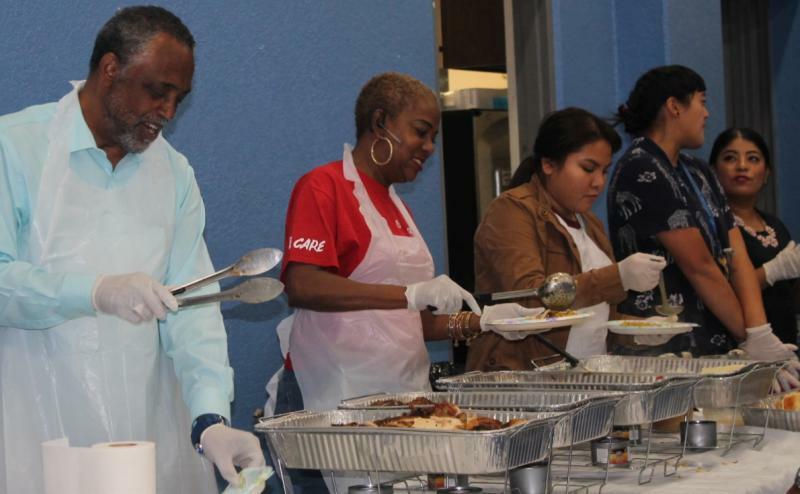 The GreatNonprofits top-rated All Peoples Community Center recently hosted a fundraising event featuring authentic, traditional recipes from Mexico for sale, with all proceeds going to the nonprofit. Giving Tuesday just happens to fall during Ugly Holiday Sweater season, so you might as well embrace it. This is a great way to engage your social media followers. Invite them to post pictures of their ugliest sweaters and have donors pledge to make a donation in a specific amount for each sweater posted. Show me a parent and I’ll show you a person desperate for an “adults-only” night out. Use their desperation for a good cause and host a wine tasting event! If you really want to hit this one out of the park, recruit staff and board members’ teenagers to watch the kids while the grown-ups sip and mingle. Local wineries and shops will likely enjoy the chance to take their products for a spin and gain a following, so partner up and make it happen. Nothing says “creativity” like a talent show. The sky is the limit – you can make it goofy, or it can be a true showcase of awe-inspiring talent, or you can mix goofy and awe-inspiring together. Remember, having a captive audience is the perfect time to talk about the mission and work of your organization. Everyone has those random items in their home that are a bit too special to drop in a bin by the side of the road, but just not right for your own decor. Or maybe it’s a beloved toy that’s been outgrown. Nonprofits can collect these items, organize them nicely, and invite people to a Sip and Shop event where they enjoy a glass of wine while they go on a treasure hunt of gently used goodies. It’s a fact of life: dogs need to be walked. So why not use this to your nonprofit’s advantage by hosting a group dog walk? When pooches are involved, your event is instantly fun. Invite dogs and their humans to dress in costumes, silly hats, etc. Give away prizes for the smallest dog, biggest dog, best costume, etc. People love a fun competition. Many competitive activities easily lend themselves to charity tournaments, whether it’s beanbag tossing, kickball, trivia, beer pong, or good old golf. Nostalgia is universally appealing. 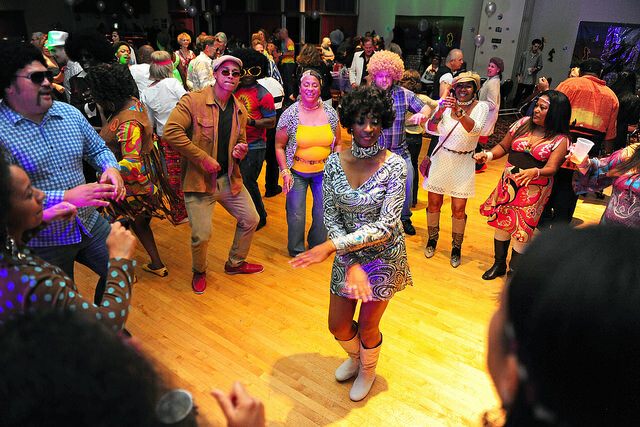 Host a 70s, 80s or 90s party and go all out. Require costumes, put together a killer playlist, create some decade-appropriate decorations and snacks, and have a blast for your cause. Doing a group volunteer project is a wonderful way to help out while getting to know new people. Host a singles mixer where participants can grab a drink, meet some like-minded volunteers, and make a difference for your organization. This is a great social media strategy. Ask your followers to announce on their social media accounts that they have made a donation to your nonprofit. Then have them tag five friends and challenge them to donate. This is the type of “friend-raising” that made the Ice Bucket Challenge such a huge hit. Use this time of year to talk about why recurring donations are a win-win: easy and simple for your donors while helping your nonprofit enjoy stable funding. Announce a challenge to get a certain number of new recurring donors, or reach a certain amount in recurring monthly donations. Don’t let another Giving Tuesday go by without jumping on the #UNselfie bandwagon in three simple steps. All you have to do is ask your followers to take a selfie with a piece of paper covering their face. The paper should have the name of your organization and #UNselfie written on it. Make sure they use the #UNselfie hashtag and tag your nonprofit when they post. Share out every follower post on your own social media platforms. Get your followers excited about reaching a certain financial goal by streaming your campaign live on Facebook. You can also do an Instagram Story to make your supporters root for you and feel like they are in on the action. Find tips for using Facebook live here. Challenge your supporters to create their own grassroots fundraisers and promote them on your social media accounts. Giving Tuesday is the perfect time to rustle up some local celebrity talent to gain attention for your cause. Whether it’s a dunk tank, a free performance, or a pie eating contest, it will make for a great photo opp for your nonprofit. Cooking competitions are all the rage. Engage taste buds and competitive spirits with a chili contest or cupcake bake-off to benefit your nonprofit. Grace Kennedy is a Charlotte, N.C.-based nonprofit writer and marketing consultant. Learn more at gracekennedy.net.